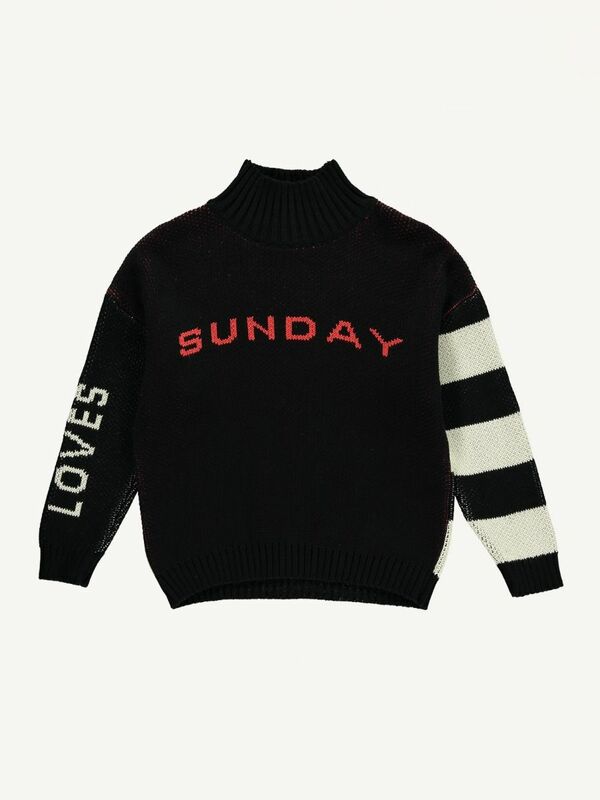 Black and cream "Loves and heart" print knit oversize sweater. All black in the front with "Sunday" print. 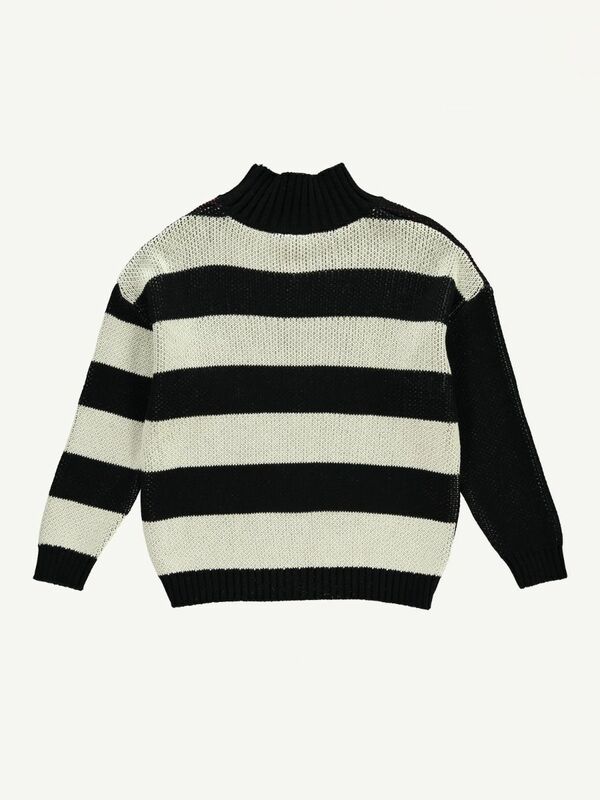 Stripes on the back and one sleeve.